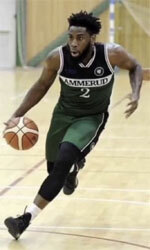 Al Ahli Sadab (D1) tabbed 33-year old American guard DeAndre Rice (189-85, college: Florida Atlantic). He played most recently at Al Karkh in Iraqi IBL league. The previous (16-17) season Rice played at Al Shurtah (Superleague) in league. 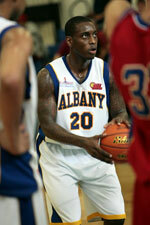 In 2007 he was drafted by Tulsa 66ers (D-League) in fourth round (46th overall). Rice attended Florida Atlantic University and it will be his twelfth (!!!) season in pro basketball. Among other achievements he won Iraqi League championship title in 2015. Rice received also Asia-Basket.com All-Iraqi League Honorable Mention award in 2016. He is a very experienced player. And here thanks to pro basketball Rice experienced life in six different countries playing on four different continents. He is familiar with Asian, Latin American, African and of course North American leagues. Rice has played previously professionally in Saudi Arabia (Al Ahli Jeddah), Syria (Al Jalaa), Tunisia (U.S.Monastir), Uruguay (Atenas), Oman (Al Nizwa) and Libya (Al Ittihad).